Truck accidents are life-changing experiences for the injured victims and their families. If you or a loved one have been involved in a truck accident, you know what kind of havoc a truck accident can reap on a family. At Hutchison & Stoy, PLLC, we have seen practically every type of truck accident imaginable. To that end, we’ve also helped countless, innocent victims deal with the turmoil created by a truck accident. If you or a loved one were recently injured in a truck accident, contact a Fort Worth Truck Accident Lawyer at Hutchison & Stoy, PLLC today for help. Because of a truck’s massive size and weight, the injuries are often catastrophic both mentally and physically. Moreover, trucks on Texas roadways are required to carry substantially more insurance that other vehicles. Thus, because of the injuries are usually more significant than other accidents and because truck insurance coverage is usually over $1 million, truck insurance companies often fight innocent victims tooth and nail to deny them the compensation they’re due. This is the last thing one wants to deal with after they or a loved one has been injured in a truck accident. That’s why it is wise to hire competent representation to help you navigate the mind field that is a truck accident claim. At Hutchison & Stoy, PLLC, a Fort Worth Truck Accident Lawyer can help you navigate the insurance issues, including truck insurance coverage and the UM/UIM conundrum. We can also help you get the treatment you or your loved ones need for the injuries sustained as a result of the accident. Often times, the turmoil created by a truck accident prevents injured victims from immediately doing everything they can to protect their claim. However, in some instances the victim or a family member can do certain thing after the accident to preserve the claim. Our number one rule to our clients after a truck accident is to not speak to anyone from the truck’s insurance company until you have consulted a truck accident attorney. For more information on what to do after a truck accident, visit our page about what to do after a truck accident or our truck accident FAQ’s page. As mentioned above, truck accidents typically cause significant injuries for those involved because of the size and weight of the truck. We often see truck accidents that result in catastrophic injury, including spinal cord injuries and traumatic brain injuries. For a more in depth analysis of truck accident injuries visit our page about major truck wreck injuries. If you’ve Been Injured In a Truck Wreck, and Have No Health Insurance, We Can Help. The Warriors for Justice at Hutchison & Stoy, PLLC have helped countless truck wreck victims get the treatment they need for all types of injuries without any upfront money out of their pocket. If you’ve been hurt in a wreck and have no health insurance or can’t afford your deductible, you may qualify for this plan. Learn more by clicking here. We’re here to help. If you or a loved one has been injured by a truck driver or trucking company’s negligence, contact at a Fort Worth Truck Accident Lawyer at Hutchison & Stoy, PLLC today. Call 817-820-0100 or visit submit a free case evaluation online. 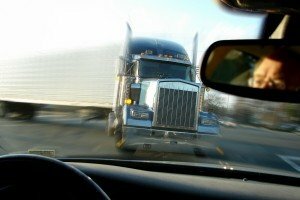 This could be the most important step you take after a truck accident in Texas.